Leading Exporter of tube fittings from Mumbai. 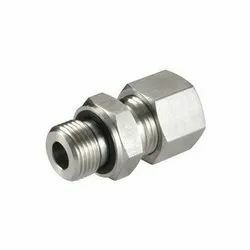 O/D Tube 1/2" TO 2"
With our expertise in this domain, we are able to offer a superior quality range of Tube Fittings. These products are procured from trusted vendors of the market, who follow international standards in the manufacturing process. The offered tube fittings are widely used in various pipelines and joints in household premises & buildings. Moreover, our valuable customers can avail these products in a variety of sizes and shapes as per their requirements.